Codemasters' Racing Studio brings you DiRT 2: off-road racing, now with attitude. 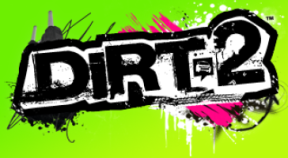 DiRT 2 combines the excitement and aggression of off-road racing with the style and flair of extreme sports. Tour the world, racing against real-life off-road superstars in eight varied disciplines on tracks ranging from Malaysian jungle sprints to roaring stadium runs in L.A. Head online for completely customisable 8-player racing across all the game's tracks and race types.